Great fit for my 2 year old, she weighs 11 kg. Naty is the brand to buy if you don't want chemicals on your childs bum. They are environment friendly, no trees were used and you can put them on the compost. First time trying this brand of nappies. Great value with month box, and find the nappues gentler on my baby's skin. Really like these nappies, my baby is teething and there is no sign of nappy rash. I believe the no chemicals in the nappies have helped. 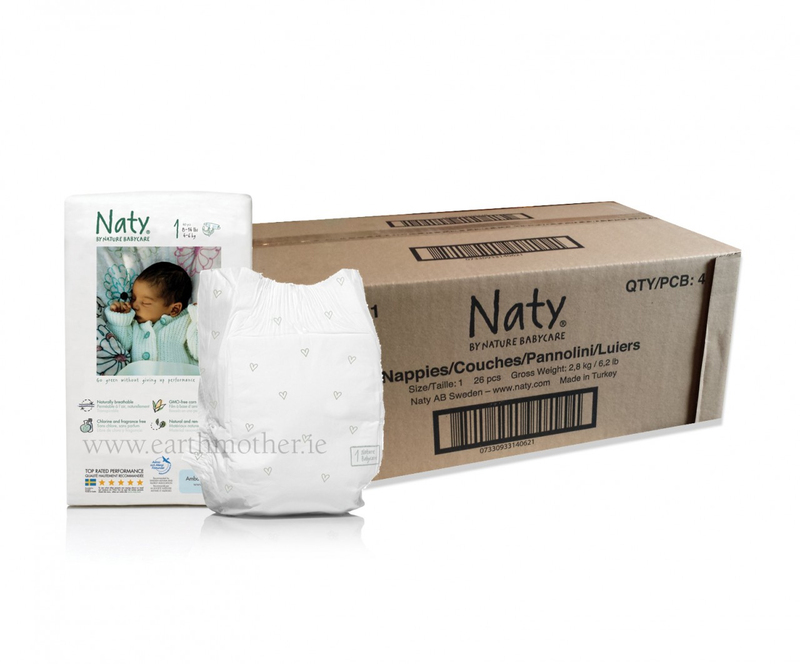 I can recommend Nature Babycare nappies as they are very absorbent and do not cause any irritation to my little one. Absolutely number 1 for our family. Monthly value box is a great alternative and money saving. 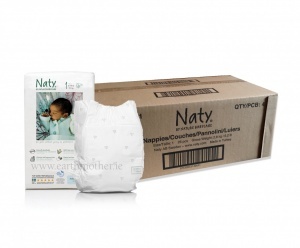 We've been using the Naty Nature Babycare from the moment our baby was born and we couldn't be happier! No chemicals = no problems! Also, the monthly value pack is an amazing deal! I really like the Naty napoies. They are soft and thin, and yet there is no leaks and no issue with rush or red skin. They are breathable and I would really recommend them. I ve been using these nappies for over a year now, they are very good value, baby has had hardly any rashes and what I love about these nappies as opposed to ordinary ones is that they don't smell even when they're quite wet.